Q&A: How Old Should My Boiler be Before I Replace it? It’s one of the most frequently asked questions. As a general rule, around the 10 to 15 year mark your boiler will start to become less efficient. So when it gets to this age it’s probably a good idea to seriously start considering replacing your old boiler for a new more energy efficient model. When your boiler accounts for 60% of what a household spends in total on their annual energy bills (yes, that much!) having an energy efficient model is imperative. The thing is boilers don’t get enough credit for all their hard work – it’s only when they stop producing heat and hot water that we start to question the role they have to play in our home. With energy costs climbing at a frightening rate, you might not realise it but your boiler could have a lot to answer for. If your home is fitted with a modern energy efficient condensing boiler, well the good news is that your new boiler will be doing its bit to help you fight escalating energy bills and starve off the prospect of falling into fuel poverty. Boilers become more inefficient the older they get, particularly if they aren’t well maintained or serviced regularly with an annual check up to keep them operating efficiently. Older boilers, because of their inefficiency, will result in higher home heating bills compared to a modern boiler replacement. In fact, according to the Energy Saving Trust, with modern condensing boilers your energy bills should fall by around one third. “Energy efficient boilers are a great weapon in the fight against fuel poverty. Very efficient compared to conventional boilers, installing a condensing boiler will help you to make considerable savings on your energy bills because they need to burn less fuel to extract the same amount of energy,” explains Boiler Guide’s founder, David Holmes. 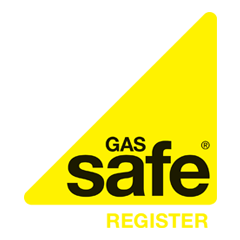 According to the Energy Saving Trust, replacing an old gas boiler for an A-rated energy efficient condensing model could help an average detached household save up to £305 on their energy bills every year*. So although there’s the initial expense of laying out for an energy efficient new boiler to be factored in, it’s still cost-effective because the cost will be recouped many times over. And condensing boilers are the most energy efficient type of boiler going – they meet the highest standards of energy efficiency, an A-rating. When having your boiler replaced, it’s worthwhile to have your pipes and radiators flushed out. Technically known as a power flush, it will remove the build up of gunge and should be done when you have a new replacement boiler installed. Good central heating controls will also help you to get the best out of your system, too. So be smart about energy efficiency. If your boiler is getting past its prime, now would be a good time to seek out boiler quotes with a view to installing a new energy efficient replacement. Reducing your energy bills and making savings on carbon dioxide emissions is the smart thing to do. And replacing your old boiler will be a good place to start. On that note, why not check out our top tips for buying a new boiler.